Why SeaWorld Terminated a Contract with Evans to Build a Hotel in San Diego? San Diego, California -San Diego Sea World-branded hotel will not come to the San Diego theme park. Florida-based company resigned the contract nine months after signing a deal. The company said the company made a decision to terminate the agreement with San Diego-based Evans hotel. The termination of the agreement resulted in losing $2.8 million. Even though the decision was made in September, the report announcing it publicly was released on Tuesday. The SeaWorld Interim CEO John Reilly while asked by an analyst about the hotel, said in response that hotels for now are not a near-term priority. According to the CEO the top priority for the company are the attendance –driving attractions. Evans hotel representatives are disappointed for not moving forward with the hotel project. They believe SeaWorld’s success is very important to San Diego. Evans already has two Mission Bay resorts near the marine park. A debate on building a hotel evolves around the main concern that it can disrupt focus, and take the attention off the core business. 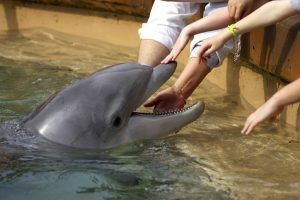 Even though SeaWorld still releases some financial reports, there are some rumors about the possible sale of the company. Company refused to comment on rumors.